The Flash Season 3 will debut on October 4th with the episode “Flashpoint”. Grant Gustin will of course be donning the red costume of The Flash. Most of the characters from season 2 will be returning: Dr. Caitlin Snow (Danielle Panabaker), Cisco (Carlos Valdes), Harry Wells (Tom Cavanagh), Iris West (Candice Patton) and Wally West (Keiynan Lonsdale). 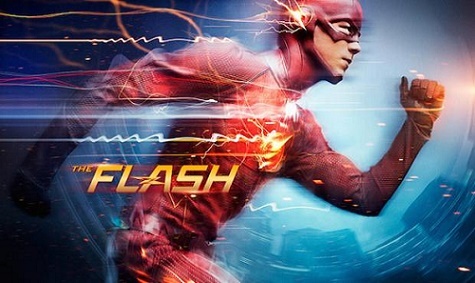 Season 2 ended with The Flash traveling in time to prevent his mother’s murder and thus altering the timeline. This will kick start the alternative universe of the Flashpoint saga, in this reality many of the events of season 1 & 2 no longer happened. There will also be recurring storylines about the transitions between Earth 1 and Earth 2, with some Earth 2 characters established last season to re-emerge amidst much dimension jumping. The producers Greg Berlanti and Andrew Kreisberg have confirmed that sequences will take place in Gorilla City and again feature Grodd. It is also confirmed that one of the regular season bad guys will be Mirror Master, a very powerful supervillain from the comic books. Will other as yet unrevealed nemeses be appearing later in the series? Wally West and Jesse Wells possessed super powers in the comics, as Kid Flash and Jesse Quick, the TV show so far has portrayed these characters before they gained any super human qualities. Fans have expected and expressed their desire for the direction of the show to document these characters becoming meta-humans. In season 2 West and Wells were caught in a particle accelerator explosion, this could be the beginning point of the characters developing their powers in season 3. We believe that Kid Flash will indeed be present and Jesse Quick may be making a return from Earth 2. The TV show was created by Greg Berlanti, Andrew Kreisberg and Geoff Johns back in 2014, who are still creatively behind the project. They are currently holding their cards close to their chests over other plotlines and characters and whatever else may be happening in this upcoming season – but the details revealed so far have got us looking forward for the season premier e of this show. The Flash Season 3 will begin airing on the CW on October 4th, 2016.